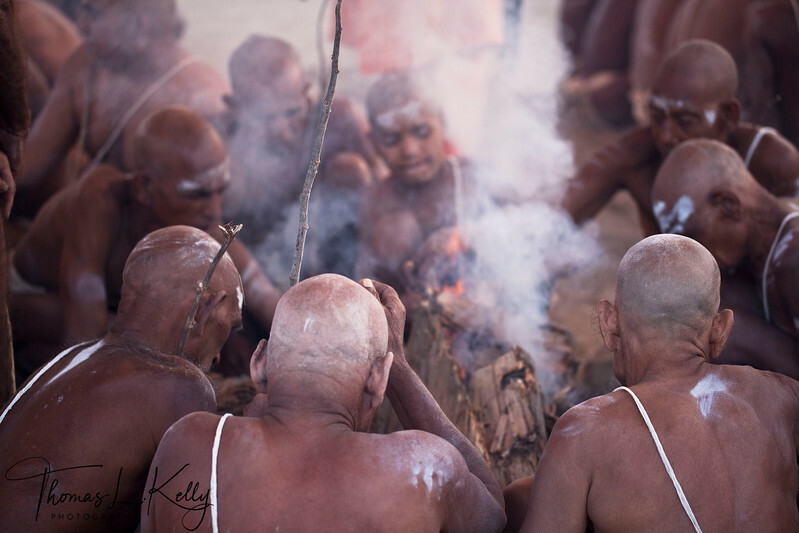 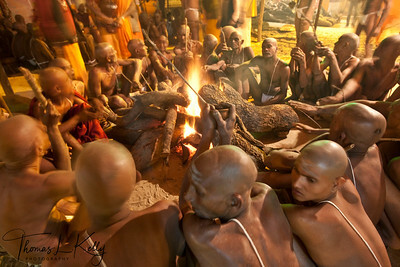 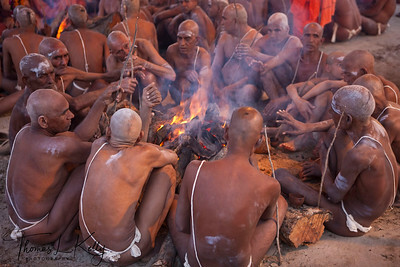 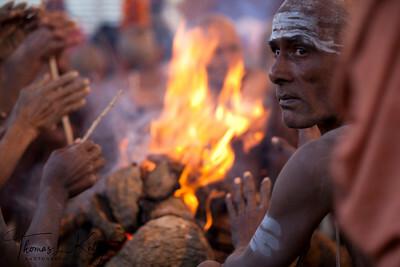 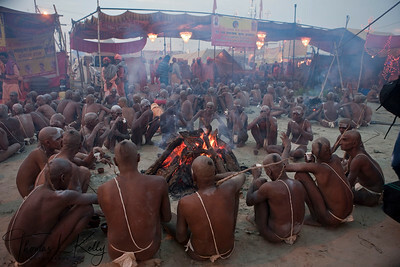 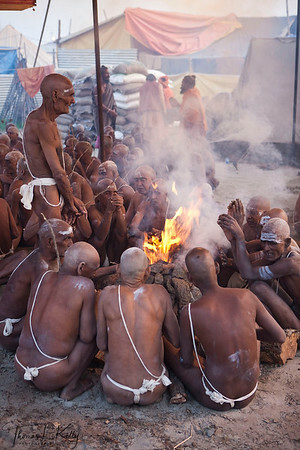 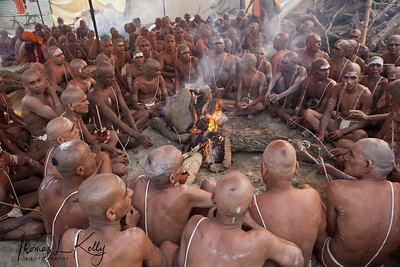 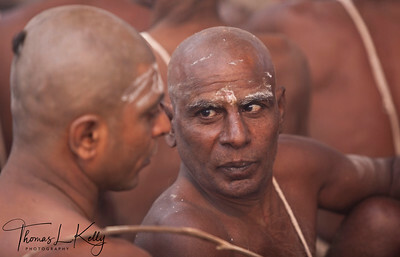 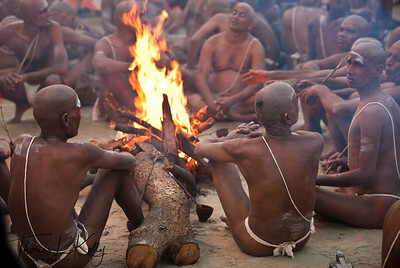 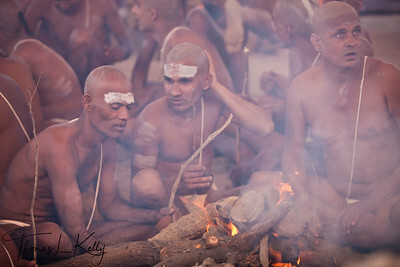 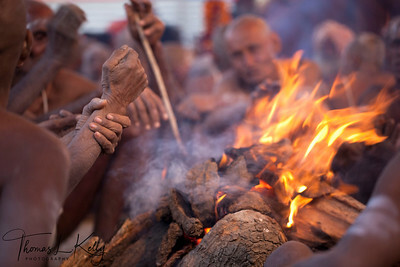 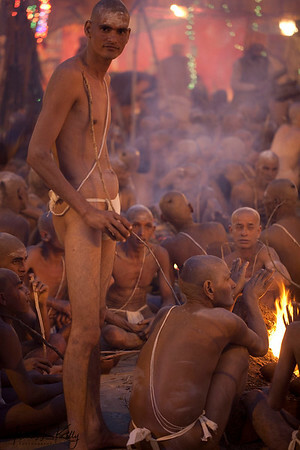 Sadhus sit in groups around fire and chant mantra a night before their initiation. 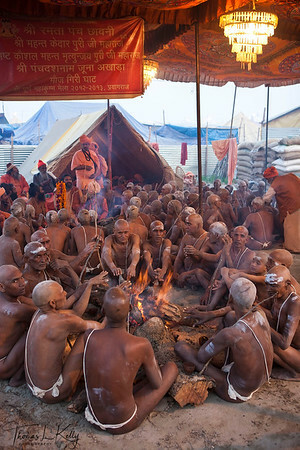 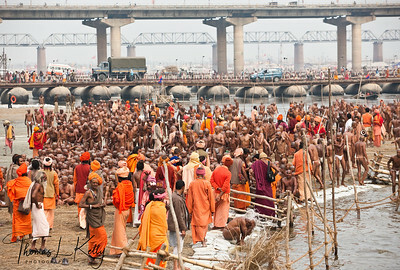 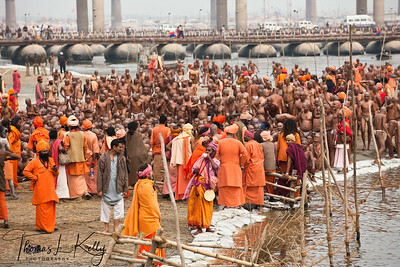 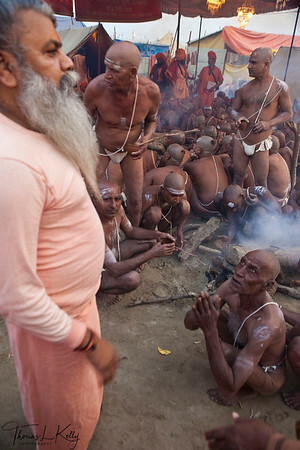 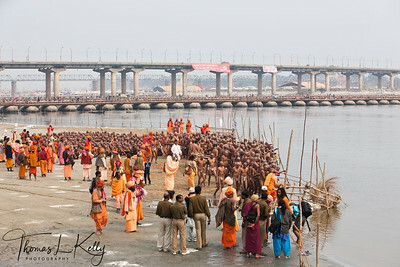 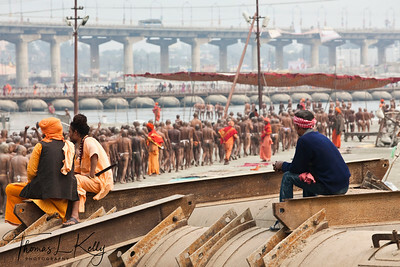 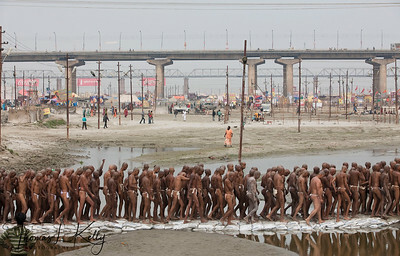 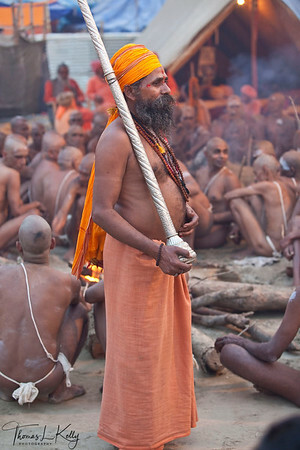 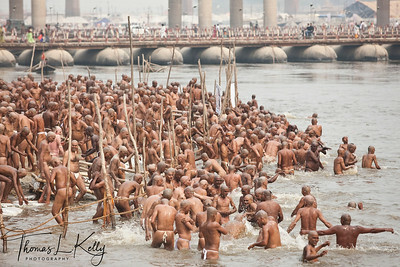 Around 500 sadhus were initiated this year at Kumbha Mela in Allahabad. 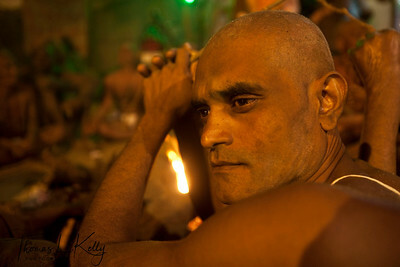 In the late afternoon half a dozen of barber shaved their heads. 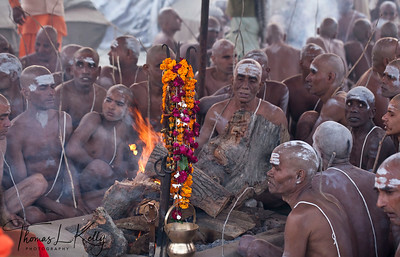 The monks sat by patiently as this went on, occasionally raising their hands and shouting "HAR HAR MAHADEV!" 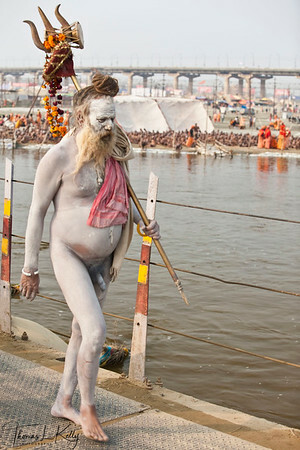 of "OM NAMAH SHIVAYA!" 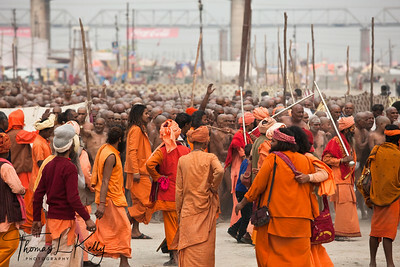 Shortly the procession to the ghat began, with hundreds of thousands of devotees lining the road. 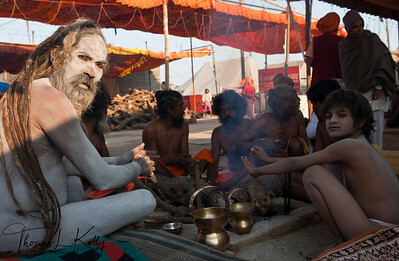 Every time the sadhus would shout "OM NAMAH SHIVAYA! 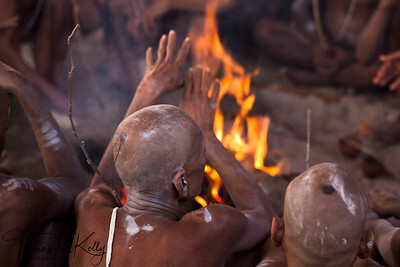 ", the crowd would shout the words back with loud devotion.